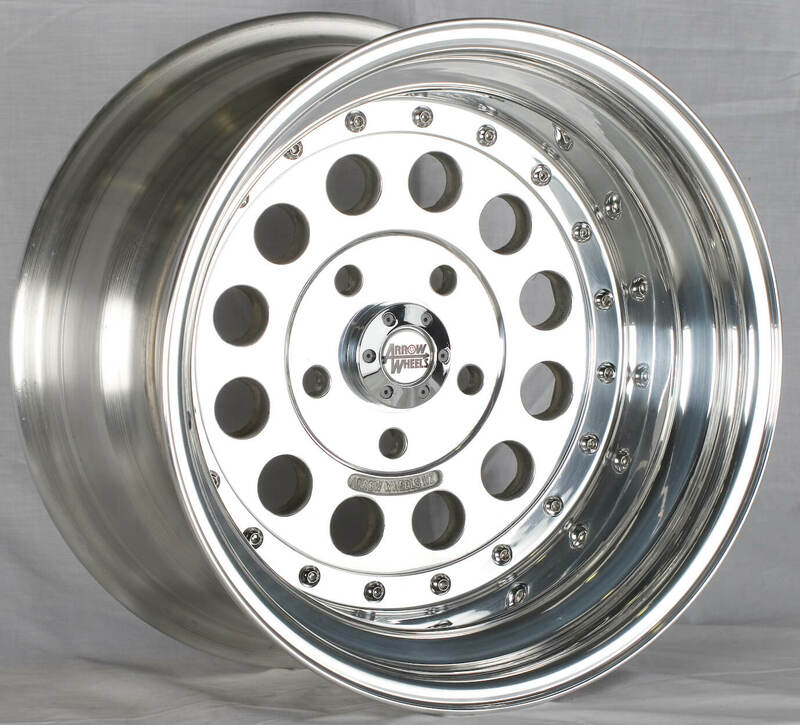 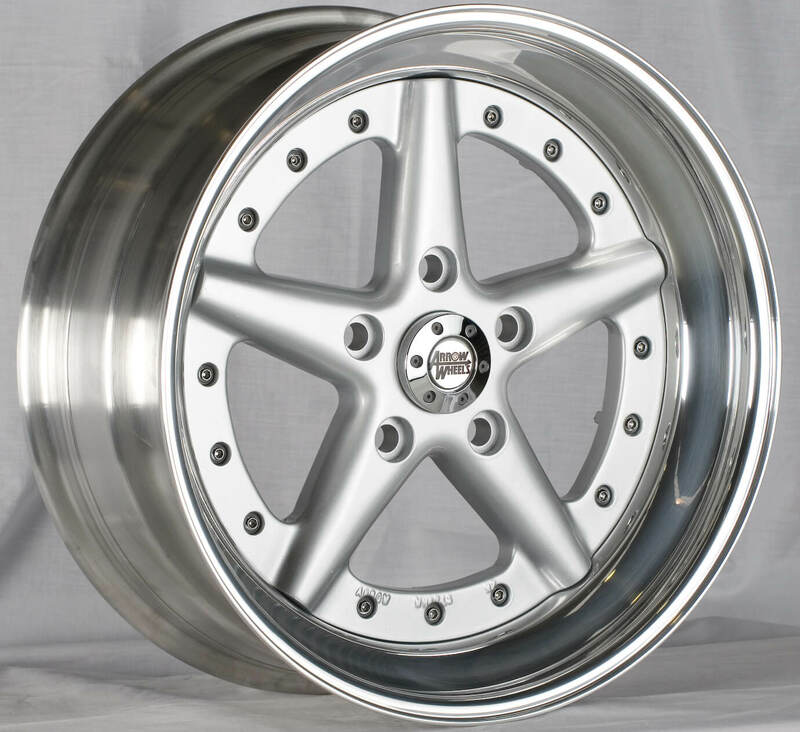 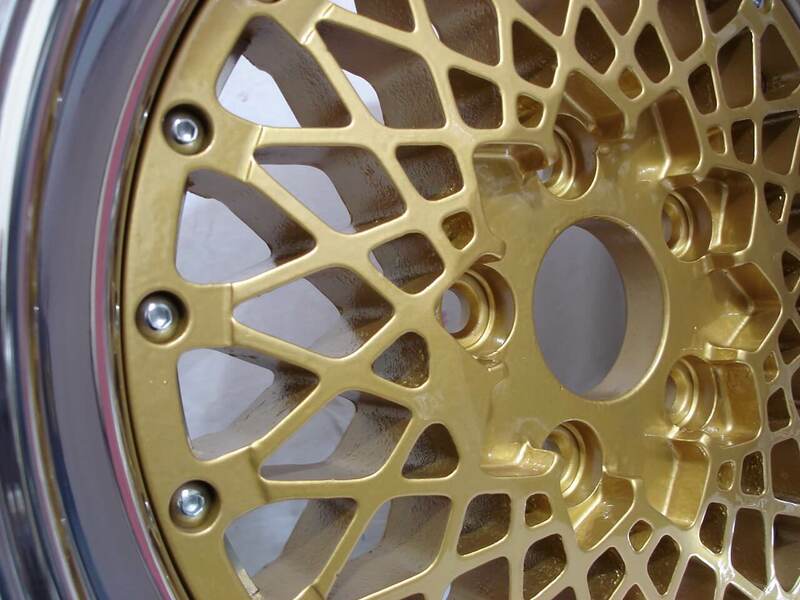 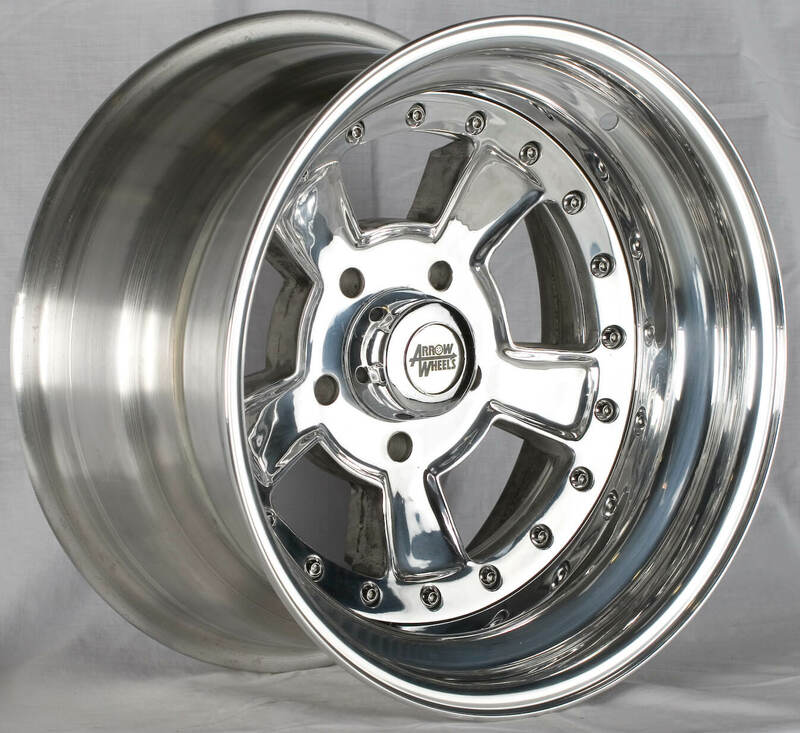 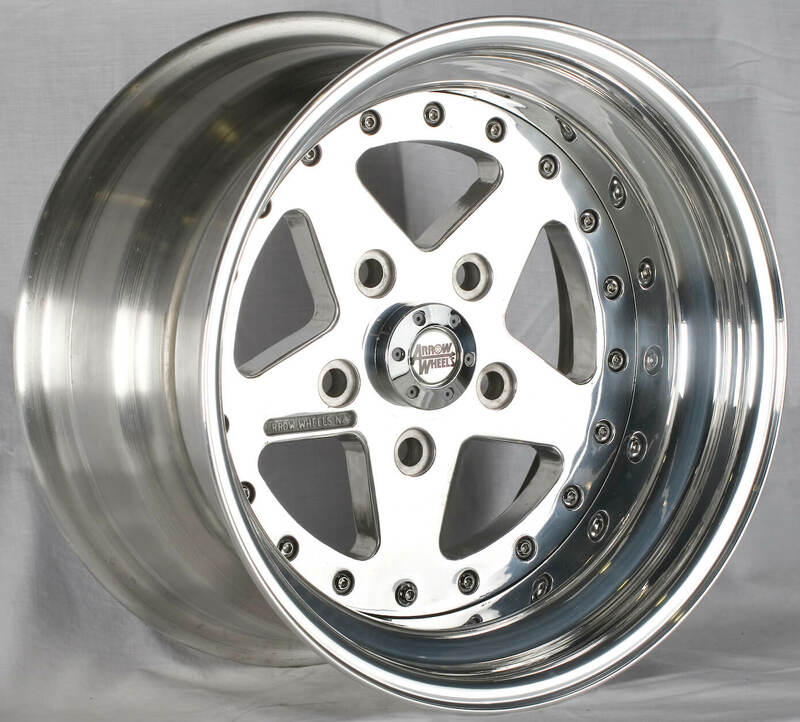 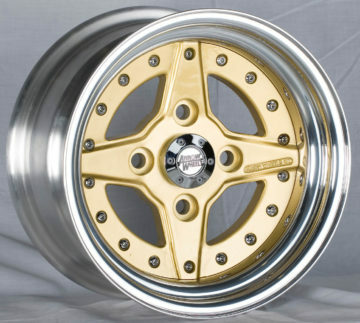 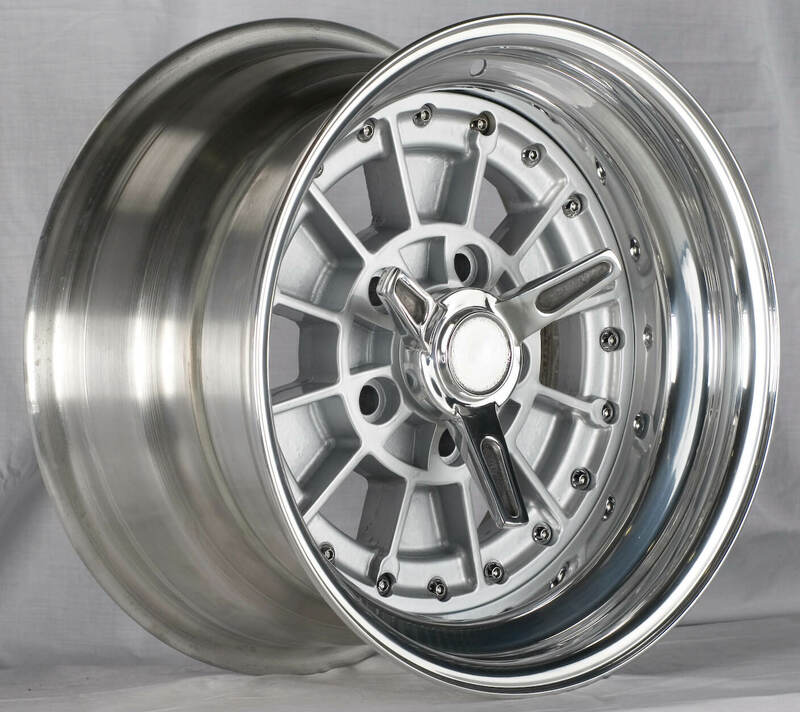 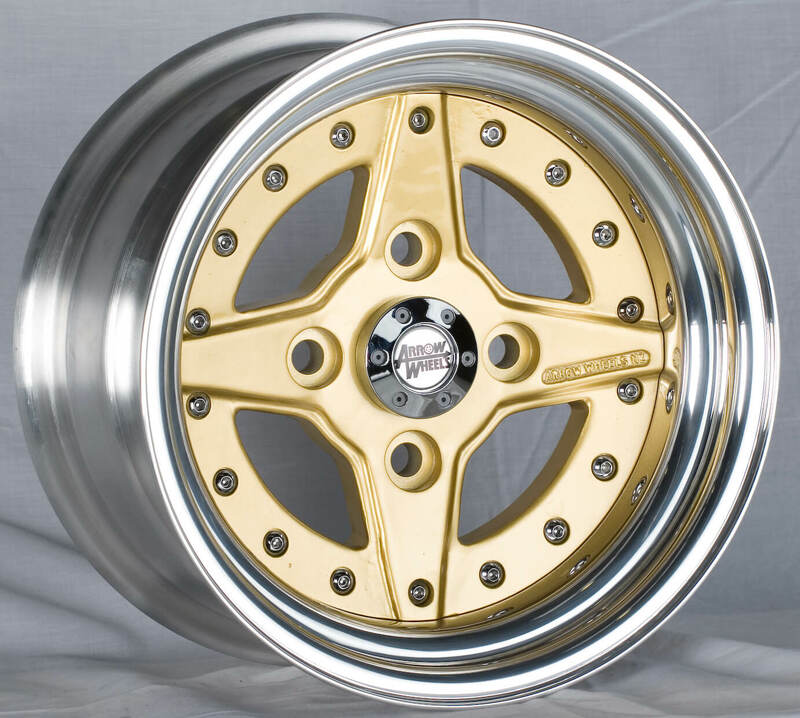 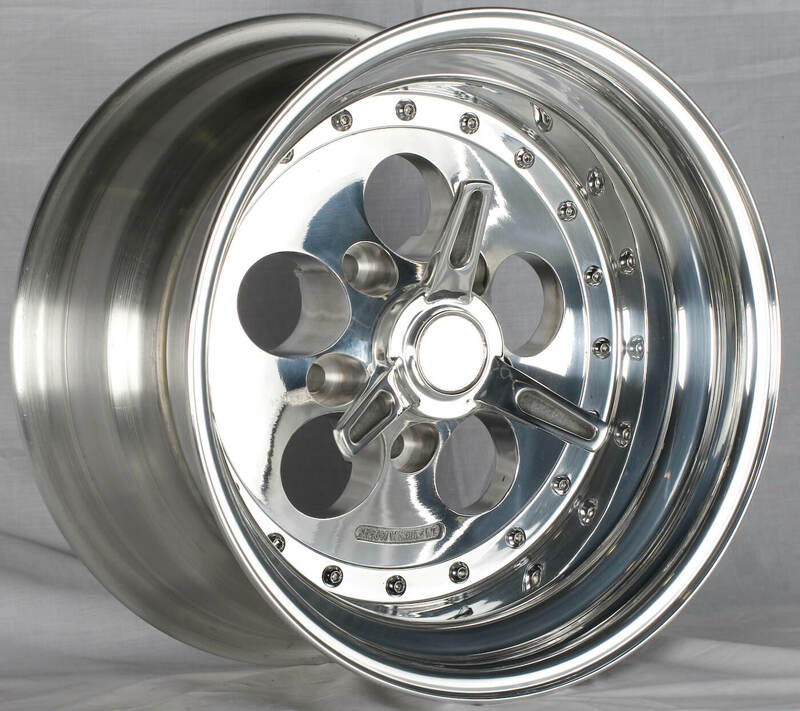 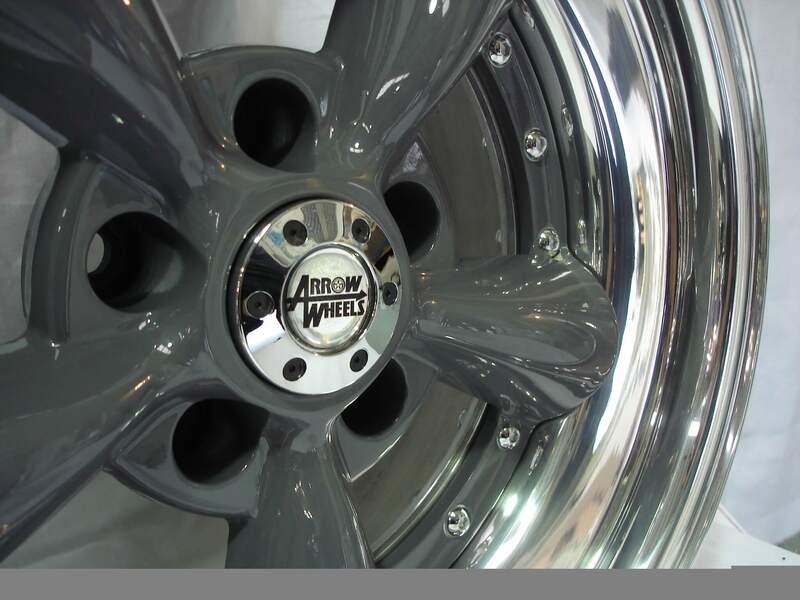 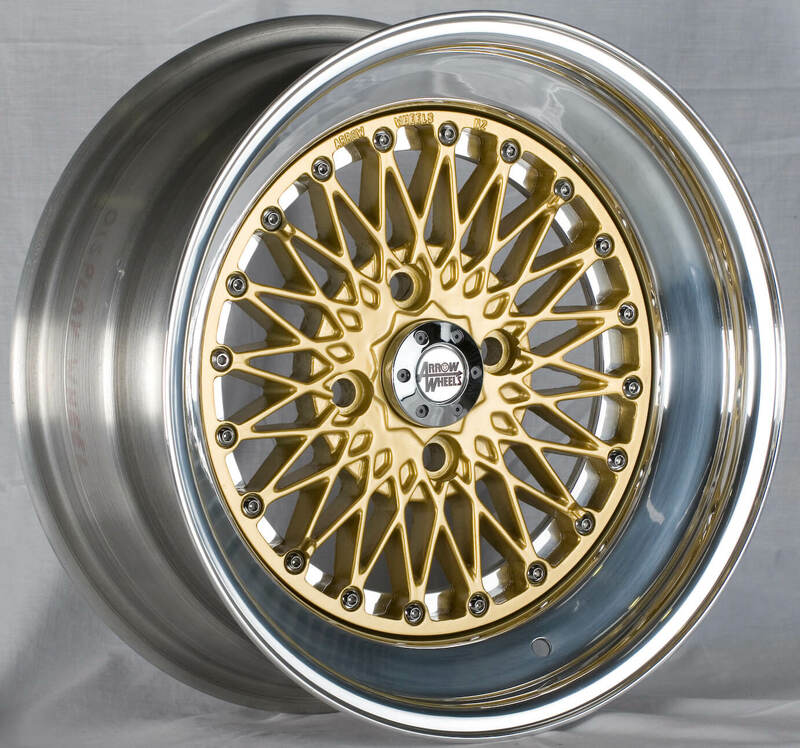 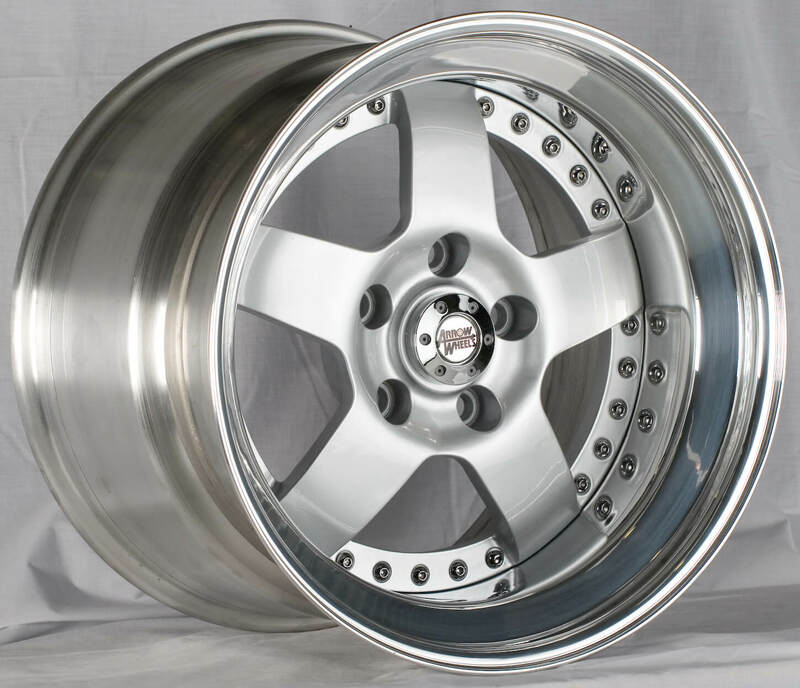 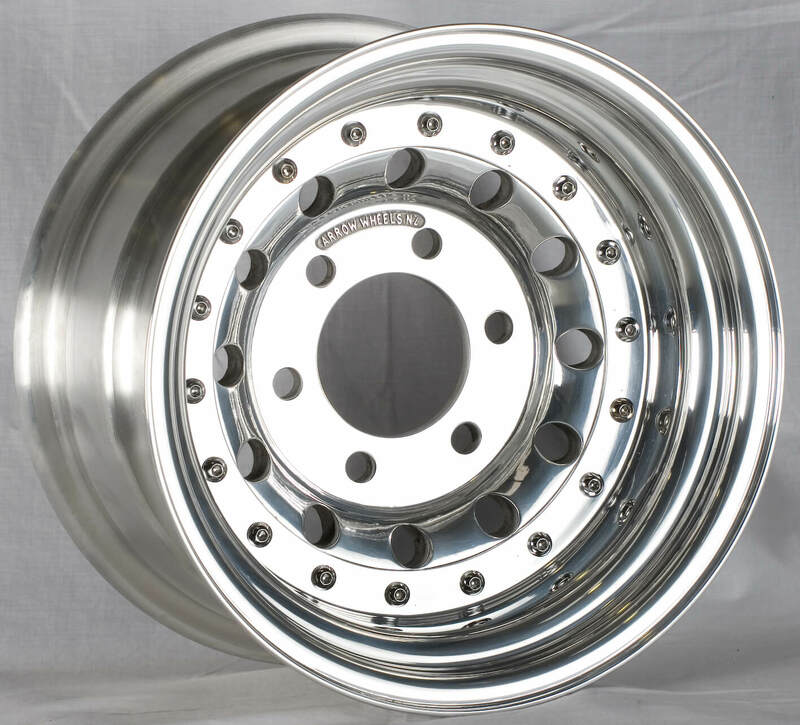 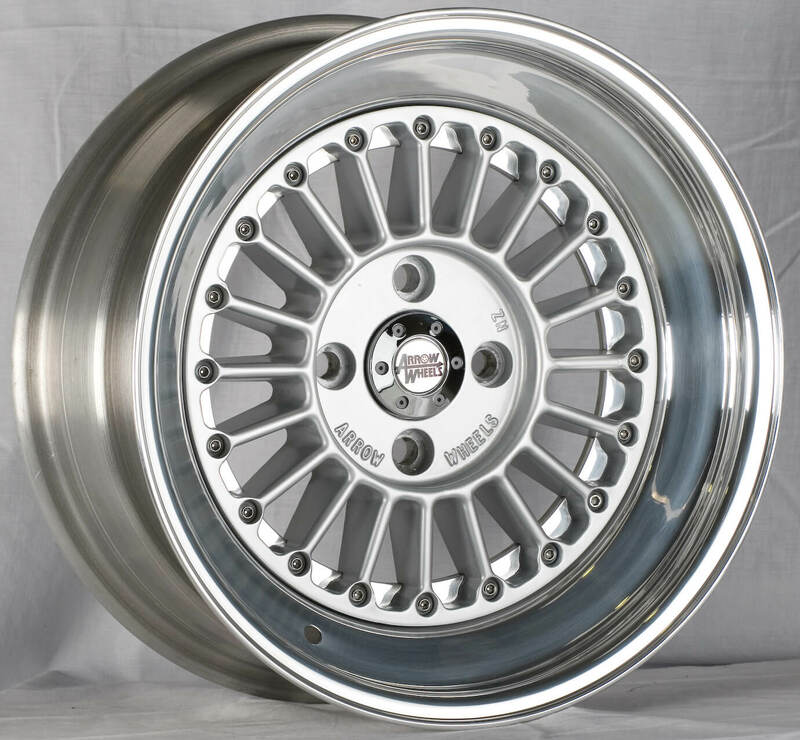 Arrow Wheels are 3 piece constructed wheels consisting of outer & inner rim sections spun from lightweight, high performance alloy, and a centre section cast in high quality, aged hardened alloy. 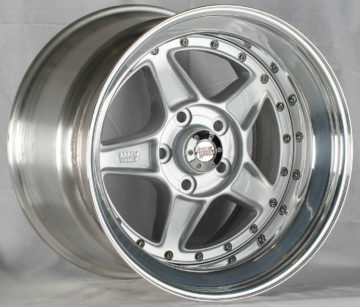 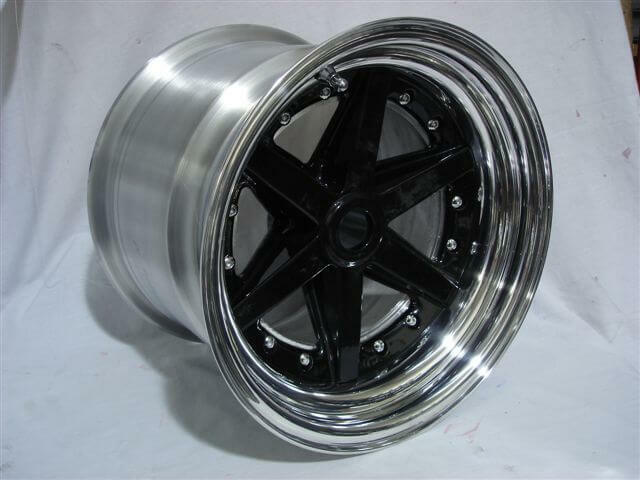 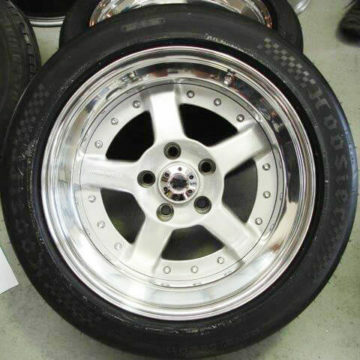 They are used on street vehicles, race cars, hot rods, drag cars, drift cars & muscle cars. 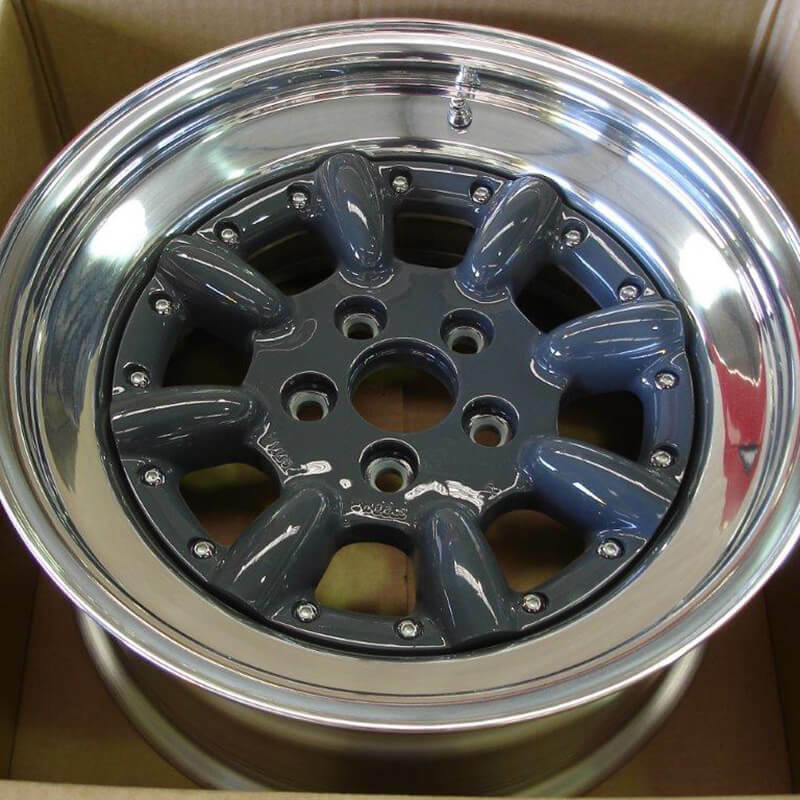 Delivery – approximately 4 to 5 weeks from confirmation of order – urgent orders may be accommodated on request. 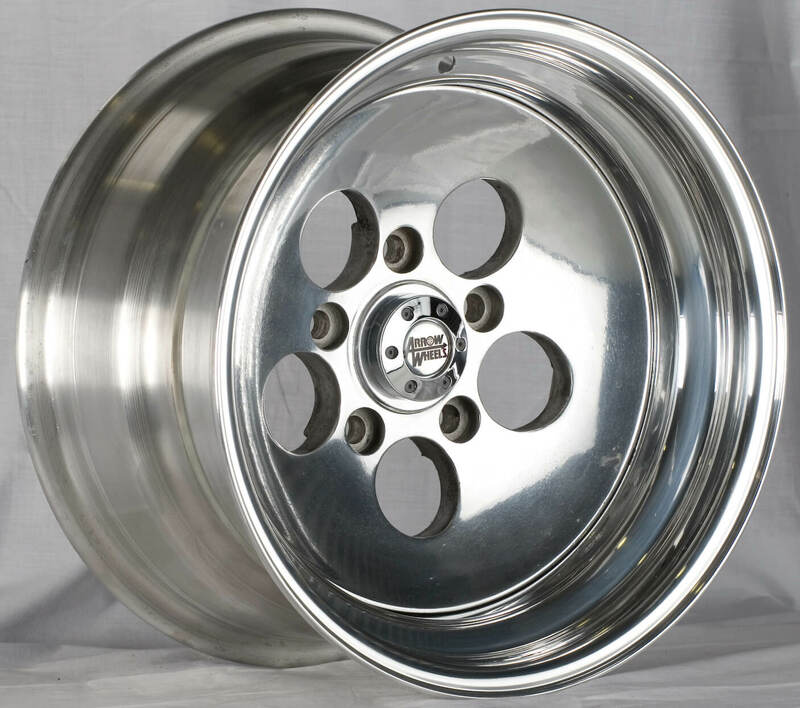 Download a worksheet by clicking below and once you’ve filled in the dimensions email or fax it back to us so that technical drawings can be completed. 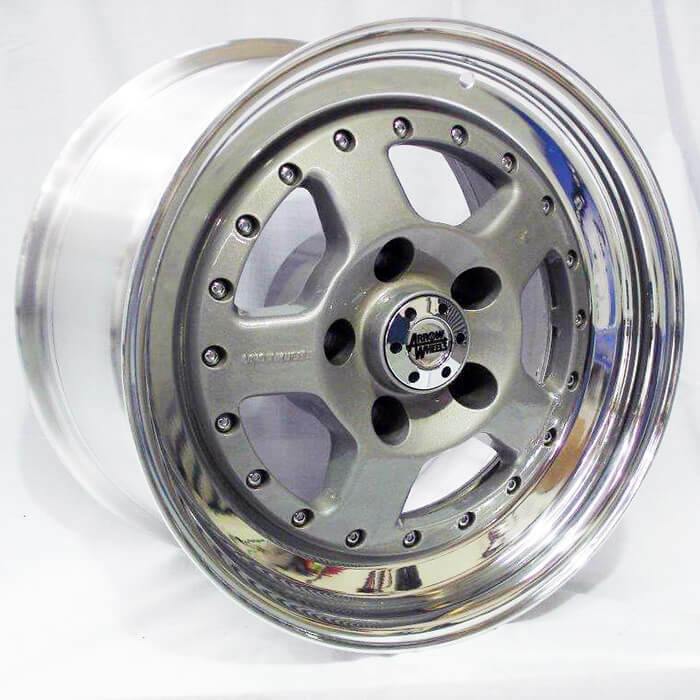 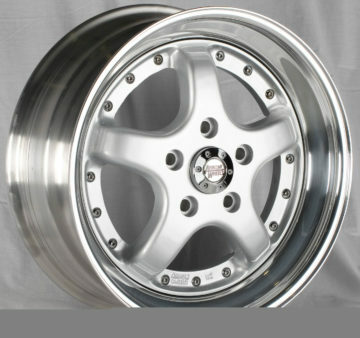 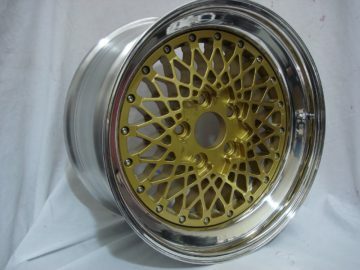 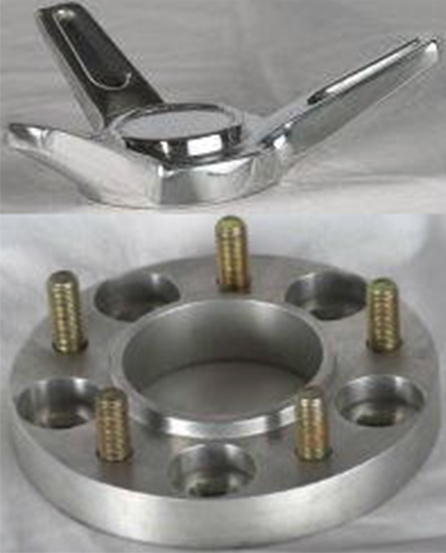 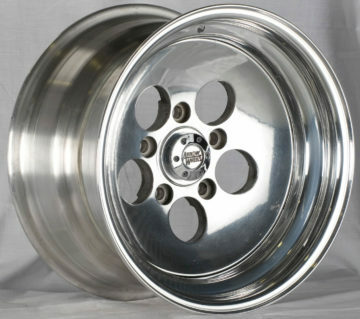 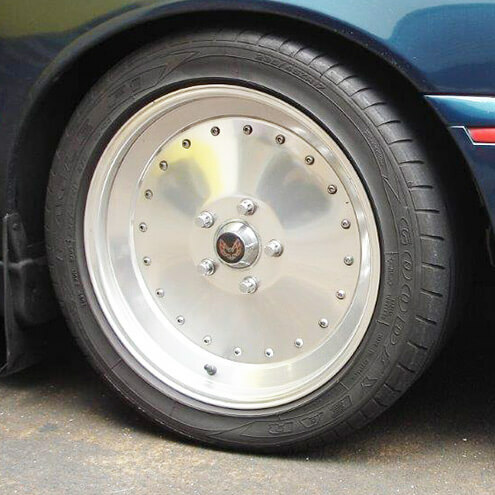 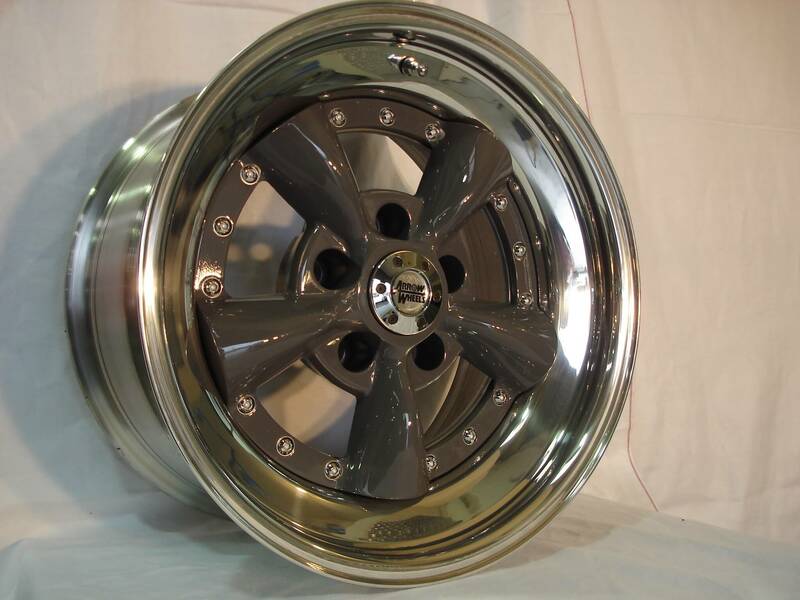 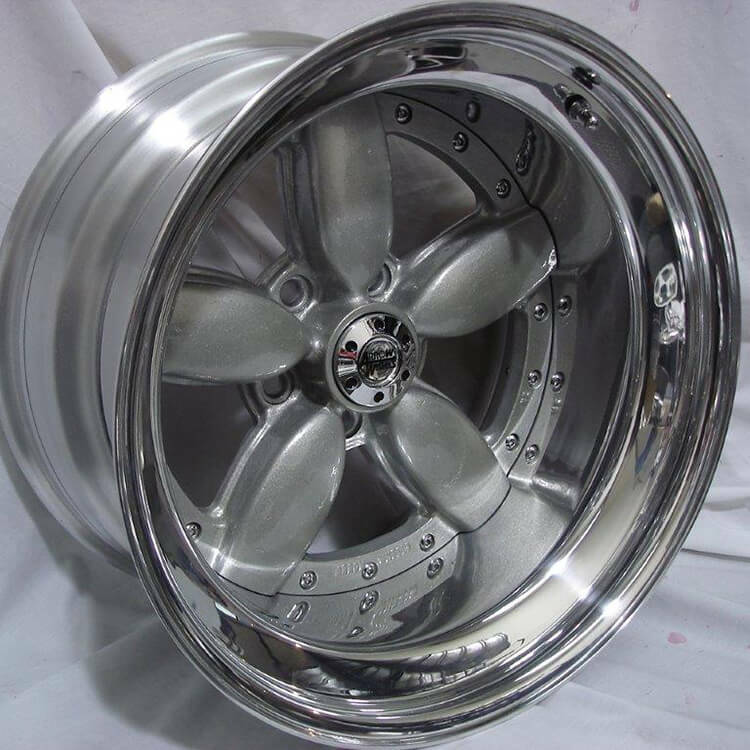 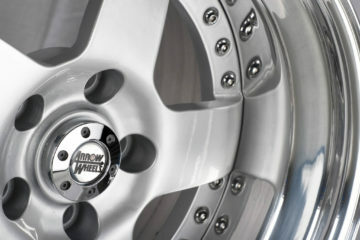 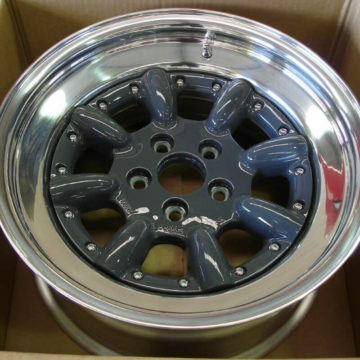 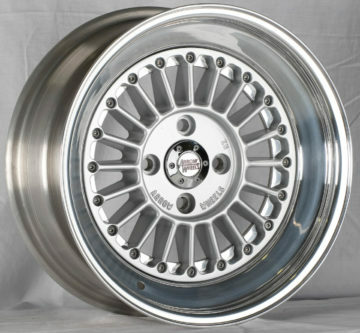 We also manufacture 3 prong knock-offs and a range of wheel adapters to compliment your new rims. 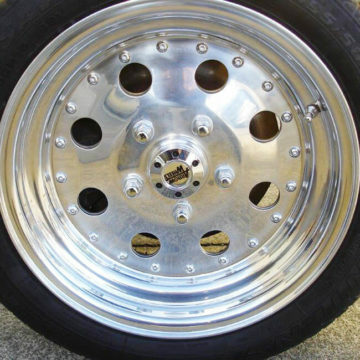 Note: 5 stud to 5 stud, 4 stud to 4 stud. 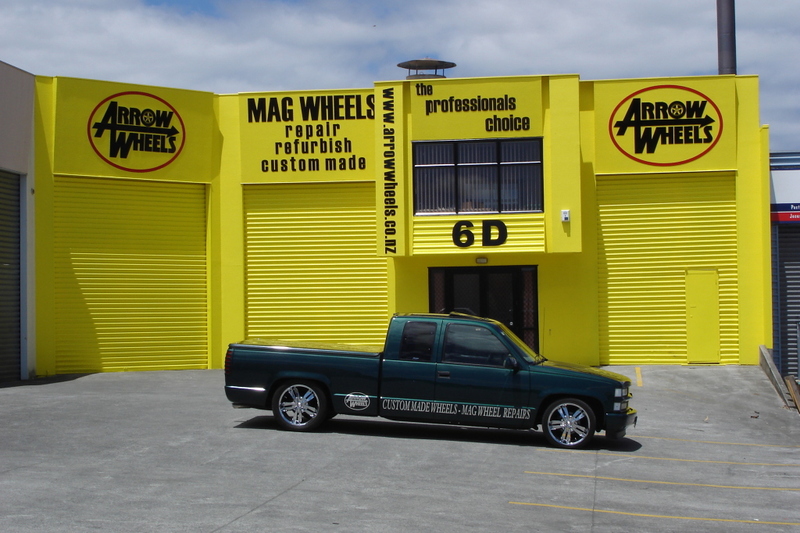 Our friendly team are ready and waiting to answer any questions you may have.We are open during normal office hours and aim to respond to email queries within one working day. 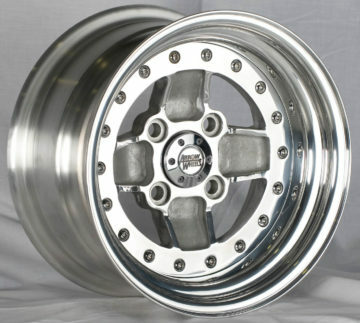 No obligation quotes on all work.